AT CLARK STREET Gov. Rod Blagojevich has appointed CPS Chief Operating Officer Timothy W. Martin to the post of state Secretary of Transportation. Since 1997, Martin has been principally responsible for overseeing a multi-billion dollar capital improvement plan. … Philip Hansen, CPS Chief Accountability Officer, has resigned and accepted a position as special assistant to the superintendent of the Illinois State Board of Education. Among his duties will be serving as a liaison between CPS and the state board on issues related to the federal education law, No Child Left Behind. Joseph Hahn, an assessment and compliance director, has been named acting chief accountability officer. MOVING IN/ON Steven Zemelman joins Leadership for Quality Education (LQE) as director of professional development, where he will work with teachers at charter schools and small schools. 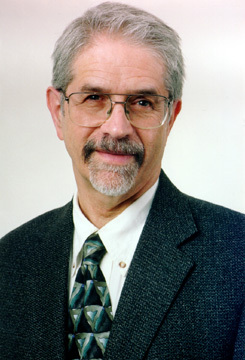 Zemelman, one of the founders of Best Practice High School, is an educator and school improvement advocate who has been director of the Center for City Schools at National-Louis University since 1994. He will continue his work on South Shore small schools. … Ken Rolling, who last served as executive director of the Chicago Annenberg Challenge, is now executive director of Parents for Public Schools, a national parent involvement and leadership group based in Mississippi. Rolling will remain in Chicago to oversee the opening of the organization’s Chicago chapter … Jobi Petersen, who previously handled No Child Left Behind policies at CPS, is now executive director of the Illinois Caucus for Adolescent Health. … Business and Professional People for the Public Interest (BPI) hired Laura Siegel-Critz as senior policy associate to work on small schools and school design initiatives. DRAWING BOARD The Chicago High School Redesign Initiative is seeking additional funding to open 10 new small high schools. The $10 million proposal—now pending at the Bill and Melinda Gates Foundation—calls for CPS to identify and retrofit the facilities, and for the Redesign Initiative to select educator groups to run the schools. … A new elementary school for kindergarten through 4th grade will be built on the lakefront just east of the Loop. The $12 million facility is slated for completion in 2005 and will serve 400 students. Attendance boundaries have not yet been determined. PRINCIPAL CONTRACTS Patrick Baccellieri, a graduate of the 2002 inaugural class of New Leaders for New Schools, an alternative principal training program, was awarded a four-year contract as principal of South Loop. …Carolyn Epps is interim principal at Miriam Canter Middle School; former interim principal Theresa Speegle is on a medical leave of absence from Canter. PRINCIPAL RETIREMENTS The following principals have retired: Louis Hall, Raymond; John Jursa, Prosser High; Linda Layne, Gwendolyn Brooks College Prep; Barbara Peck, Bateman; and Constance Roberts, Rogers. Serving as interim principals are Carl Dasko, Bateman; Pamela Dyson, Gwendolyn Brooks; Jose Rodriguez, Prosser; and Mary Rose, Raymond. … Senior guidance counselor Joel Bakrins is now contract principal at Rogers. RENAISSANCE SCHOOLS CPS is proposing to restructure Williams Elementary into a K-12 school to reopen in the fall and coverting Dodge Elementary into a teacher training academy. The proposal calls for the schools to partner with a number of outside experts, including Erikson Institute, Illinois Institute of Technology, National-Louis University and the Academy of Urban School Leadership. Two advisory councils comprised of parents, civic leaders and educators will gather community input before a final plan is determined for each school. Last spring, CEO Arne Duncan announced the closing of Williams, Dodge and Terrell, promising to reopen the first two by fall 2003. (See Catalyst, November 2002).